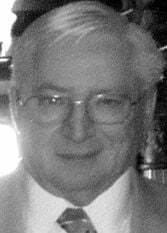 Daniel F. "Dan" Kexel, 67, of Kenosha, passed away on Tuesday, July 24, 2012, at United Hospital System-Kenosha Campus. Born in Kenosha on Jan. 30, 1945, he was the son of the late Lawrence and Leona (Raymond) Kexel. A graduate of St. Joseph High School, he also attended the University of Wisconsin-Parkside. Dan served in the United States Army during the Vietnam War in Germany, from June 16, 1966, until his honorable discharge on May 20, 1968. On Feb. 13, 1971, he married Barb Niccolai at St. George Catholic Church. Dan worked in the Planning Dept. at American Motors/Chrysler Corp. for 26 years, retiring in 1990. He then served as bailiff for Judge Mary Kay Wagner until 2003. He was a member of St. Anthony's Catholic Church and Moose Lodge 286. Most of all he enjoyed spending time with his grandchildren. Surviving are his wife of 41 years, Barb; his two sons, Steven (Alice Smorgala) Kexel of Pompano, FL, and Keith (Christina) Kexel of Racine; two brothers, Robert (Barbara) Kexel of Kenosha and Lawrence (Kim) Kexel, Jr. of Kenosha; two sisters, Kathlyn (Jerry) Parsneau of Pleasant Prairie and Elaine (Paul) Cox of Kenosha; and his grandchildren, Michael, Matthew, Katelynn Kexel, and Cody Smorgala. He was preceded in death by a brother, David Kexel. A Mass of Christian Burial will be held on Saturday, July 28, at St. Elizabeth Catholic Church, 4804-7th Avenue, at 11 a.m. Interment will be private at Southern Wisconsin Veteran's Memorial Cemetery. Visitation will be held on Friday, July 27, at Proko Funeral Home from 6 p.m. until 8 p.m. and on Saturday at the church from 10:30 a.m. until the time of the Mass.